The prime minister updated the Cabinet on his ongoing work as chair of CARICOM on the Venezuelan impasse. He reported on issues relating to refugee and security challenges, and the potential for the region to be caught up in conflict. Colleague prime ministers, along with Prime Minister Harris, met at the United Nations (UN) and explained the history of the region and why it is important to keep the region as a zone of peace. So far, 12 Member States had agreed to be a part of and support the CARICOM position to keep dialogue going and avoid harsh rhetoric. The Ministry of Public Infrastructure had performed creditably during the past year and the minister with responsibility gave a report of his stewardship, which was largely positive. The minister brought the Cabinet up to date on ongoing projects such as the Old Road Bay Rehabilitation Project and Phase Two of the Island Main Road Resurfacing Project. 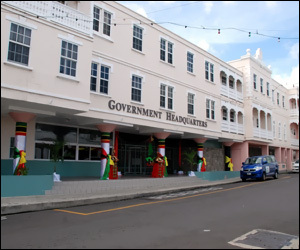 On February 5, Cabinet was brought up to date with the progress of the Ministry of Tourism and the successes that the country had achieved over the past year, which include increase in air lift, passenger arrivals—both by air and cruise lines, and the ongoing work to upgrade the Strip in Frigate Bay. Cabinet was also advised that the 10 booths at Black Rocks were completed and that another hotel is set to have a soft opening by mid-year. The Honourable Attorney General reported on the ongoing work within his ministry, and the continuing work at the Electoral Office.